Some Bad News. And A Contest! – Hey, Look! A Writer Fellow! Some Bad News. And A Contest! Longtime readers of this blog know that I am crazy about Sarah Josepha Hale. Sarah was the first female magazine editor in America. She was also one of the greatest magazine editor’s in America, transforming the struggling Godey’s Lady’s Book into the most widely read magazine in 19th century America. She used this magazine as a bully pulpit to promote positive change: charitable giving, healthy living, patriotic causes, college educations for women, and—most famously—a nationalized Day of Thanksgiving. And she did all of this while raising five kids as a widowed, single mother. Seriously, just how awesome is that? Sarah’s life and achievements dazzle me; that’s why I wrote my first picture book about her. 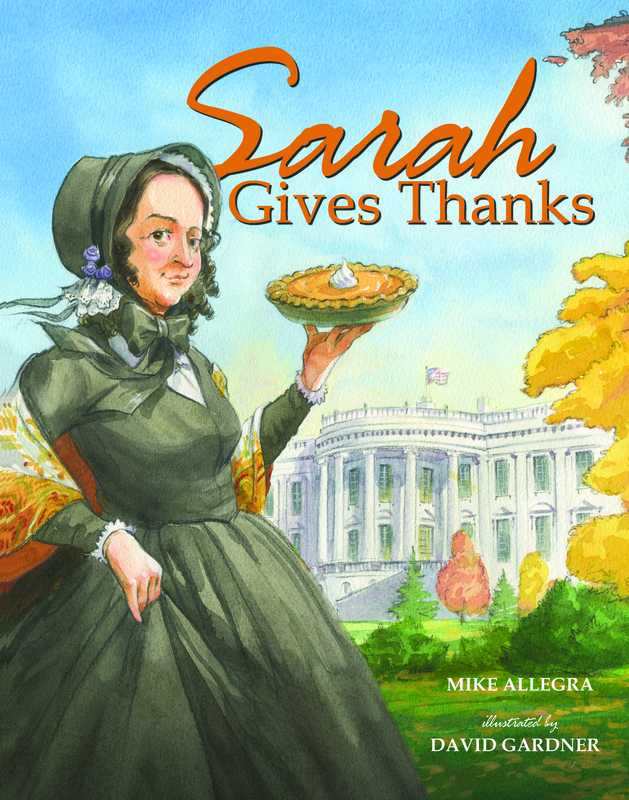 Sarah Gives Thanks was published in 2012 by Albert Whitman and Company and it remains one of my happiest and proudest achievements. Unfortunately, Sarah Gives Thanks is going out of print. I recently received word from Albert Whitman that Sarah will not get another hardcover print run—and a softcover edition appears unlikely. I know this is the way things go in publishing, but it breaks my heart a little. I loved writing about Sarah Hale and I love talking about her at schools, in bookstores, and on the radio. I wanted (and continue to want) to spread the awesomeness about this little known American hero. So welcome to the “So Long, Sarah” Book Contest! I’ve snapped up the last three copies of Sarah Gives Thanks from the publisher’s warehouse. Signed copies of these books will be given away to three blog readers! *These copies of Sarah Gives Thanks will almost certainly not be any more valuable that any other existing copy of Sarah Gives Thanks. But let’s pretend, OK? What’s that? You already have a copy of Sarah Gives Thanks? Enter anyway. Give the book to a friend, or a school, or a public library. The key is to get Sarah’s story out there. To enter this contest all you need to do is leave an Interesting Historical Fact in the comments section below. The fact can be about anyone or anything, provided that the fact is interesting. That’s all you need to do. Leave a comment with an Interesting Historical Fact and you’re name will be entered in the contest drawing. Want me to stuff the ballot box in your favor? Fine. I’ll add two more ballots if you announce this contest on your blog and link back to this page. Don’t have a blog? OK, then you can get one extra ballot if you announce this contest on your Facebook page or Twitter feed. Want even more ballots? Fiiine. If you write to Albert Whitman and Company and politely urge them to publish a Sarah Gives Thanks paperback, I’ll give you an extra four ballots. All Interesting Historical Facts must be received on or before Saturday, May 5. I will post the winners on this blog on Monday, May 7. Thank you all for keeping Sarah Josepha Hale’s memory alive. Next postWinner! Winner! Turkey Dinner! Well, that is a proud historical fact! Yer in the contest, Boo! I know of, but not as much detail as you presented. Thanks. Well, try to get the book and you’ll learn more. Gimmie an interesting historical fact to enter the contest. As a PhD student in 1963, Dr. Lerner taught was is considered to be the first women’s history course in the world at the New School in New York City. Later, in the early 1970s, while teaching at Sarah Lawrence College, Lerner created the first graduate program in Women’s History and focused her efforts on making the field a respected academic discipline while also raising the status of women historians. In 1980, she created the nation’s first Ph.D. program in women’s history at the University of Wisconsin at Madison, where she later became professor emerita. Lerner’s interest in justice was greatly influenced by her early life having been born into a Austrian-Jewish family in 1920. After Germany annexed Austria in 1938, Lerner’s father learned that he was going to be arrested. Lerner and her mother were held by the Gestapo for several weeks though the Nazis apparently never learned of her involvement in the anti-Nazi resistance. After her father sold his Austrian assets, the Gestapo released the family and they were able to escape. Lerner immigrated to the U.S. in 1939. There you go, AJ! You’re in the contest! To all strong WOMEN out there, enter this contest to keep Sarah Josepha Hale’s memory alive. Aaaaand, you got and extra two ballots! I’m sure it feels like you’re losing a piece of yourself with this. Would the publisher give you back your rights so you could republish it on your own if you wanted to? It’s certainly possible, for I do own the copyright to SGT. Done done and done! I linked your post on FB as well. :o) Can’t you publish it yourself on Amazon or other platforms? I know on Amazon it’s super easy. And *another* ballot! You are on fire, AJ! Maybe I should just give you all three books! Lol, no I just want 1! ;o) But if you can’t find anymore takers, I’ll make sure the right people get the other two. Sorry to hear about Sarah’s out of print demise. Sniff! I’m glad I have a copy of the book. It’s a beautiful book. The news is sniff-worthy. Thank you, my friend! Thomas Edison said “To invent you need a good imagination and a pile of junk.” In his pile of junk was elephant hide which was used to prevent machine parts from rubbing. Yes, you guessed correctly – I was at Thomas Edison’s lab yesterday. Sorry to hear about Sarah. It’s a great book! Ah, I took my boy to Edison’s lab last spring. It’s a great place. And, dang, the sound quality of those cylinder records is amazing! Oh, and yer in the contest! And if you win, I’ll take you out to lunch. I miss breaking bread with you, my friend! Thanks for the bit of history and so sorry to hear that Sarah is going out of print. Can you self-publish her? Those books don’t go out of print, you know. 🙂 Great contest, Mike. Some kid or library is going to be extremely lucky! 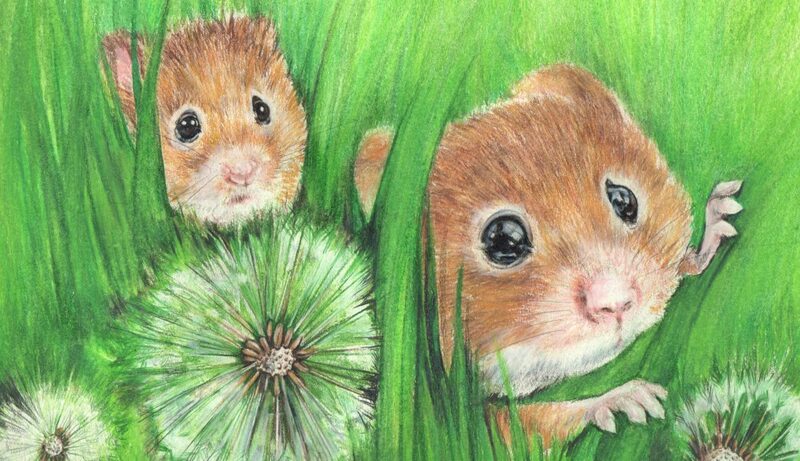 Self publishing is a possibility, yes, and one worth considering in partnership with David Gardner, the illustrator. And hold on, now. Aren’t’cha gonna enter the contest? Okay, I just read the instructions! A little known historical fact about my notorious ancestors. In 1638 in the Plymouth Colony, Arthur Peach (I’m named after Arthur Wallace Peach) was an 18-year-old runaway servant and leader of a 4-member gang – The Peach Gang. They murdered and robbed a Native American man for his tobacco and his coat. They were caught and tried, but the law at the time was unclear about whether white men could be convicted of murdering an Indian. Fortunately, sanity prevailed and they were found guilty, and since they lacked any lands, good, or cattle to pay for their crime, they were sentenced to be “hanged by the neck until their bodies were dead.” The hanging was carried out on September 4th, 1638. Wow! Now THAT is interesting! My great aunt was the private nurse of John Arbuckle – coffee magnate during the late 1800s. When he died she inherited some of the Arbuckle china, not a complete set but plates from a variety of patterns. I was curious about him and did quite a bit of research on him. He was quite an impressive man and was involved in many things including being a trust buster, breaking up monopolies in sugar and towing. He was also a philanthropist and had several projects that helped the needy and aged. One project involved giving the needy evening trips on his ships, rooms were fitted out for dining and recreational facilities so that they could enjoy a good meal and fresh air, away from the noise, hustle and bustle and poor air of the city. Another possibility for the dishes is that Aruckle Coffee would include coupons which would be collected and then redeemed for household goods. Much like how my parents and grandparents used to collect Blue Chip stamps they received at the grocery store and redeem books for household goods. Now I don’t know if the dishes my great aunt was given were from Arbuckle’s private collection, from the ships for the needy or from the coupons in coffee but it does make a very interesting story. I know all of this is interesting and there is quite a bit of supposition in this tale so you might be wondering what was the historical fact…the air was so bad that Arbuckle felt a need to help people escape for fresh air. And to prove this was a fact, I’ll end with a video clip of NYC in 1911 which demonstrates the poor quality of the air…and that’s a fact! One last thing before the video clip. During the time of the video, my grandfather was a runner (transported money) for a broker to the stock exchange and used those very trolleys…how cool is that! How cool is that? Very cool. I remember you telling me an abridged version of this story many moons ago. It dazzled me then, too. I think there is a book in there somewhere. Did your great aunt keep a diary or tell you lots of stories about Arbuckle? Never met her and she did not keep a diary. I only know what I researched and what my aunt passed on to me. But there is quite a bit of info about him just searching the internet. Winston Churchill drank booze almost all day long, even in the morning. Marie Antoinette was actually gluten intolerant, and therefore would have never suggested eating cake. Speaking of Marie, the guillotine was last used as a mainstream execution method after the first Star Wars movie was produced. It was then (thankfully) put to sleep. Andrew Jackson is the reason the Democrats have a donkey as their symbol. Because for a time, the main party was the Democratic-Republican party, which split into the two main parties today. The D-R party was conservative, and Jackson was a member. The press hated him, calling him a…donkey. To spite them, Andy made it the symbol of his political party. Marie Antoinette was gluten intolerant?! Are you bamboozling me, Kid? Well, all this info is amazing. Needless to say, you are entered in the contest! I’m gonna have to get a list of your sources, Erik. Maine was established as an antislavery state. It separated from Massachusetts in 1820 and was admitted to the union to balance proslavery Missouri. The state continued to play a role in defeating slavery going forward. Harriet Beecher Stowe wrote “Uncle Tom’s Cabin” at Brunswick, Maine, with the book stoking antislavery sentiment leading up to the Civil War. Awesome and interesting info! Good luck in the contest! I mentioned your contest on twitter, @HeyJali, and added a plea to buy copies that remain. Awesome, Jenn! You get two ballots in the drawing! In 1926, Arctic explorer Peter Freshen was trapped under an avalanche while on an expedition. He escaped from death by fashioning a shiv out of his own feces and amputating his foot. Ew. Is that true? If it is, I might need to give you an extra ballot. Alas, they never found the post, and “valuable stuff”. My mom sold the property after my dad passed away in 1993! Dang! Your Dad’s instincts were terrible. If I ever found a safe in my house, my first instinct would be to claim the contents (God bless that safe smith for handing the card over). My next instinct would be to grab a shovel and get digging. Wow! You should poke around the internet to see if the video is lurking about. In 1933 an assassination was made on the life of President Roosevelt while giving a speech in Florida. While Roosevelt was not injured, the mayor of Chicago was killed and four bystanders injured. Good ‘n’ interesting. You get two ballots! I can’t give you extra chances for extra facts — but those facts are appreciated! Louisa May Alcott, author of Little Women and many other books, lived just a few towns away from where I live now in MA. A tour of her house, the Orchard House, is absolutely fascinating. The first story she wrote was for Ralph Waldo Emerson‘s daughter! And Louisa’s pen name was Flora Fairfield. She and her family were quite industrious but also quite poor. When she finally published Little Women under her own name, she found financial success. But she published a lot of stories under other names first. Louisa’s story of writing and working and publishing is inspirational to all of us writers. I’m so sad about your book not being printed anymore by the publisher, but agree with many others here. Self-publish it yourself with the illustrator! I consider myself very fortunate to have a beautiful copy of your book Sarah Gives Thanks. I didn’t know Alcott had a pen name! Do you know if her earlier titles were republished under her real name after she hit it big with Little Women? Anyhoo, this is an Interesting Fact! You get a ballot. And I am considering the self-publish route, but I’ll need quite a bit more research into the matter before taking the plunge. That makes sense. I wish I used a pen name when I was in my 20s. I had to share some interesting history about The “Napoleon of the West,” Santa Anna. Did you know that Santa Anna helped to introduce chewing gum to the United States? While in exile in Staten Island, Santa Anna imported a chewy, rubber-like substance harvested from Mexican sapodilla trees—chicle. When Santa Anna’s personal secretary and interpreter showed the material to friend Thomas Adams, the amateur inventor was intrigued and thought he could use it to produce a rubber substitute. With the help of Santa Anna, who hoped the experiments would result in a windfall that could finance a return to power, Adams spent $30,000 in an unsuccessful attempt to vulcanize the chicle. While that venture failed, however, Adams successfully added flavorings and sweeteners to the plant to create “rubber chewing gum.” The chewing gum company started by Adams would become one of the largest in the country. You heard it here first, everyone. Santa Anna is indirectly responsible for vandalizing millions of school desks. That’s awesome history, Julie! You’re entered in the contest! What a bummer about your book not being reprinted. Narcissa Whitman and Eliza Spaulding were the first two white women to cross the Continental Divide (Rocky Mountains) on July 4, 1836. They were missionaries who along with their husbands traveled 1,800 miles over rough terrain, terrible weather, starvation, illness and Indian threats to set up a mission to spread the Word of God to the natives. The two couples split up, with the Spaldings heading for Idaho while Narcissa and her husband traveled to a settlement near present-day Walla Walla, Washington, where they established a mission for the Cayuse Indians. Narcissa cared for orphaned children in their home. In 1847, a measles outbreak took the lives of many natives, and they blamed it on Narcissa and her husband. I don’t need to tell the ending. I read a piece of historical fiction that was loosely based on their story, but with different names. Dang, that’s a compelling story. I had never heard of Narcissa. And you’re entered in the contest, Patricia! So, I can’t prove this except through my mother’s story, but here goes. Mom was eight years old during The Dust Bowl in Bristol, Colorado. Of course, times were tough. My grandfather had the last available watering hole in ~ guessing here ~ about a hundred mile radius. Cows all around his farm were dropping like proverbial flies. One day he went inside, and said to my grandmother, “If we have water, our neighbors have water,” and he cut down the fence around the water. It’s the small bits of history that no one has heard about that sometimes need to be shouted so people remember kindness and generosity. You should totally write a Little House on the Prairie-style book about your dustbowl-era relatives. I would buy the heck outta that story! And, yowzers, a Facebook AND a blog post! You, my raven shape-shifting friend, get FOUR ballots! Posted on my blog and on Facebook! Dang it all. How can they do this? I’m not sure, but they sure did it! Reblogged this on Up From the Ashes. SO glad I found you again Mike! I was wondering why there were no posts in my Inbox but I figured you were just taking another sabbatical. I have taken care of the little error WordPress did… grr! I contacted the WP Happiness Engineers to let them know about your situation so it wouldn’t happen again. And I’m so glad your back! Now that you’re back, don’t forget the enter the contest! Did you know that the first ice cream parlor in America opened in 1776? Dolly Madison served ice cream at the White House Inaugural Ball in 1813. She first tasted it in Wilmington, Delaware where the recipe was created by a free Black woman, Aunt Sally Shad. I Tweeted my disappointment to Whitman and asked for a paperback. Did you really contact AW&Co? ‘Cause if ya did, you get FIVE ballots in the raffle! Yes, I did. I don’t kid around about customer complaints! And I copied your agent on it, too, although I don’t think she repped you for that one. I can be relentless. Ha! Oh, you are wonderful. If AW decides to issue a paperback, I’m gonna give you residuals. The first woman who was not a member of the monarchy to appear on British currency was Elizabeth Fry. The Quaker prison reformer was on the back of a 5-pound banknote between 2002 and 2017. Elizabeth Fry was instrumental in making British prisons more humane in the 1800s. Among her reforms: creation of a school for children in prison with their mothers (in those days, if a woman was imprisoned, with or without a trial, her children were imprisoned with her); and assistance for women prisoners being transported to Australia. Women prisoners sent to Australia with no resources whatsoever often ended up being forced into prostitution in order to survive. Elizabeth Fry taught them to sew before they left, and arranged that each woman had a bag of supplies that she could use to make things for sale after she arrived in the colony. Elizabeth Fry is one of my heroes because she just put herself out there by going into the prisons, and starting right away to do practical, useful things to help people. Holy cow. I think I just found the subject of my next nonfiction picture book. And you get a ballot in the contest. Thanks so much for commenting, Virginia! Happened upon this too late but what an interesting concept. Kudos to you!